A Las Vegas police officer stands guard on the Las Vegas Strip after a lone gunman opened fire on the Route 91 Harvest country music festival, Oct. 2, 2017, in Las Vegas, Nevada. Police in Las Vegas said Friday they won't immediately release records that include officer body camera videos, 911 recordings, evidence logs and interview reports about the deadliest mass shooting in modern U.S. history. A meeting was planned for Monday, nearly seven months after the shooting, to determine how and when documents and electronic records will be distributed, said Carla Alston, the top spokeswoman to Clark County Sheriff Joe Lombardo. The development came after the Nevada Supreme Court rejected a bid by police to delay the release of records about the Oct. 1 shooting that killed 58 people and injured hundreds in an outdoor concert crowd on the Las Vegas Strip. Five of seven justices upheld a February ruling by a state court judge in Las Vegas who said the records are public and should be released — after redaction of identifiable information including names, Social Security numbers and portions of videos in which people could be easily recognized. Two justices said they would have preferred to hear arguments in the open-records case. Clark County District Court Judge Richard Scotti also ruled in March that police can recoup from media some costs of producing paper and electronic records. Scotti noted that police said there are almost 750 hours of body camera recordings from the incident, and volumes of 911 audio recordings. 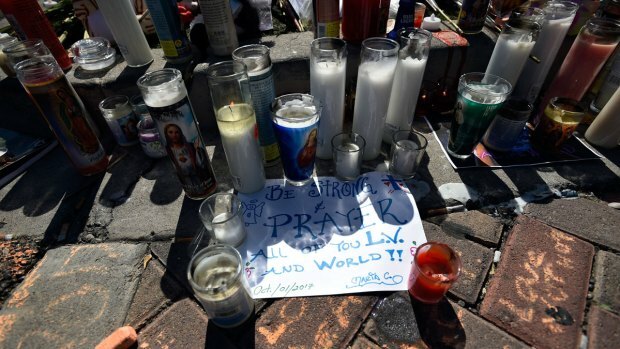 Reporters have sought to learn what police and the FBI discovered about the shooter, Stephen Paddock, a 64-year-old high-stakes video poker player who killed himself before police reached him. Police and the FBI have said they believe Paddock acted alone but have not disclosed his motive. Media attorneys argued the documents also could shed light on the response by public agencies, emergency workers and hotel officials while gunfire rained for more than 10 minutes from 32nd-story windows of the Mandalay Bay resort. WARNING: Some viewers may find this footage disturbing. 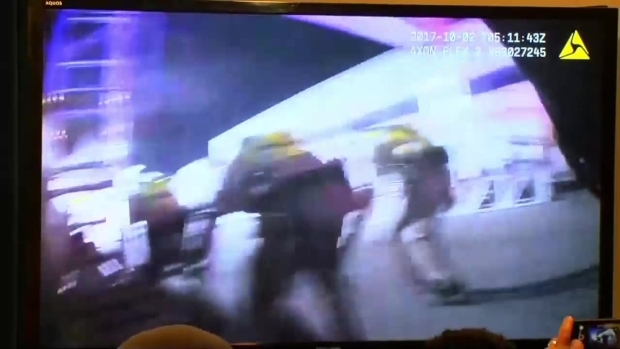 Harrowing new body camera video from the Las Vegas police shows the law enforcement response to Sunday night's mass shooting. 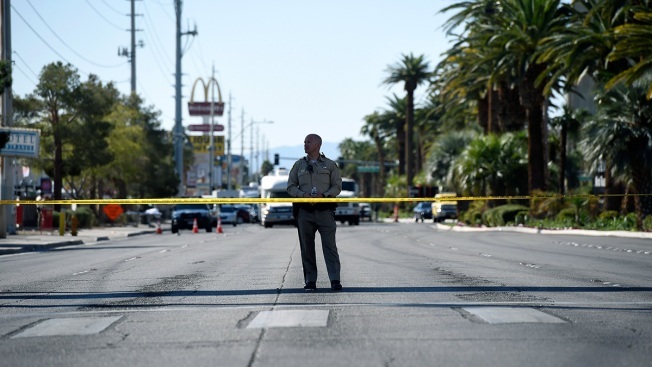 Eight media organizations including The Associated Press and the Las Vegas Review-Journal sought police records including dash-cam footage, closed-circuit television video, evidence logs, dispatch information, interview reports and police purchase orders and no-bid contracts related to the investigation. Department lawyers argued that the investigation was not complete, that it would be time-consuming and costly to quickly comply with the public records requests, and that the materials could disclose investigative techniques.